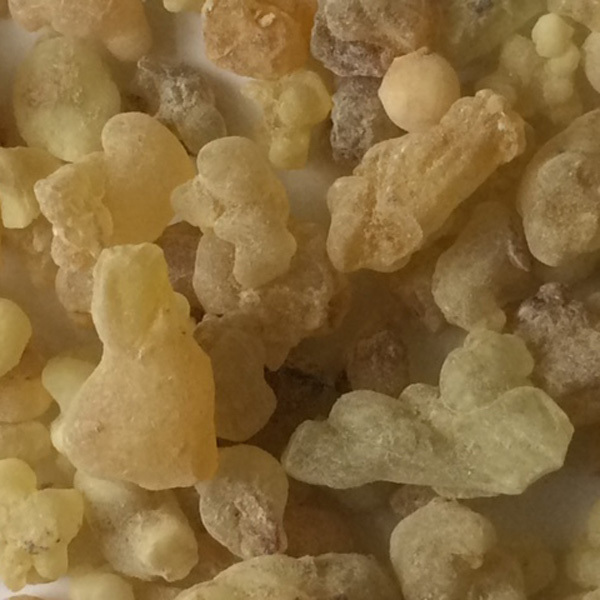 An aromatic (tree) resin used for incense, perfume, and aromatherapy. Harvested by “tapping” the tree and thereby extracting the sap. Quality determined by color, aroma, size, and purity. A species of great Biblical significance. 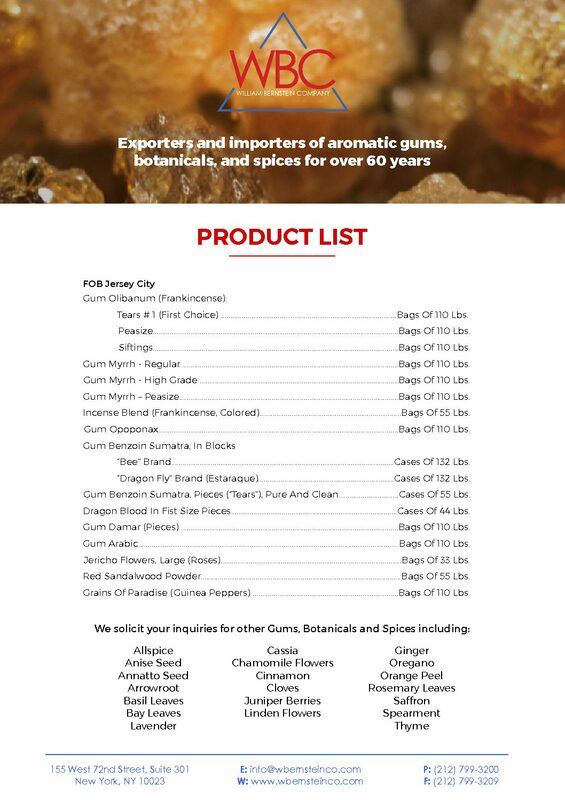 William Bernstein Company (WBC) is a U.S. importer of gums and resins since 1947.